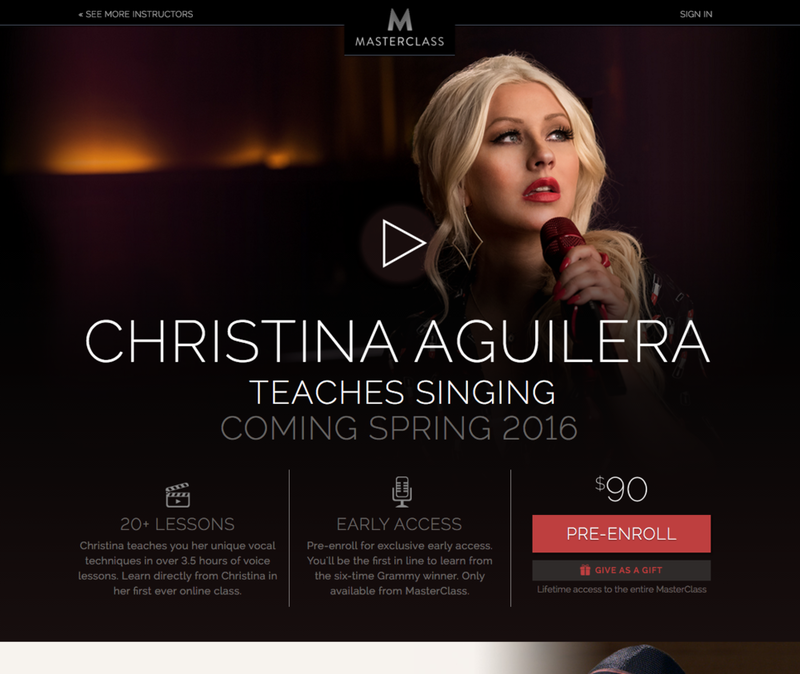 MasterClass is an online education start-up, focused on bringing the good citizens of Earth the finest education of their wildest dreams. The product has been getting some great press lately: The Independent, TechCrunch, and The New York Times. 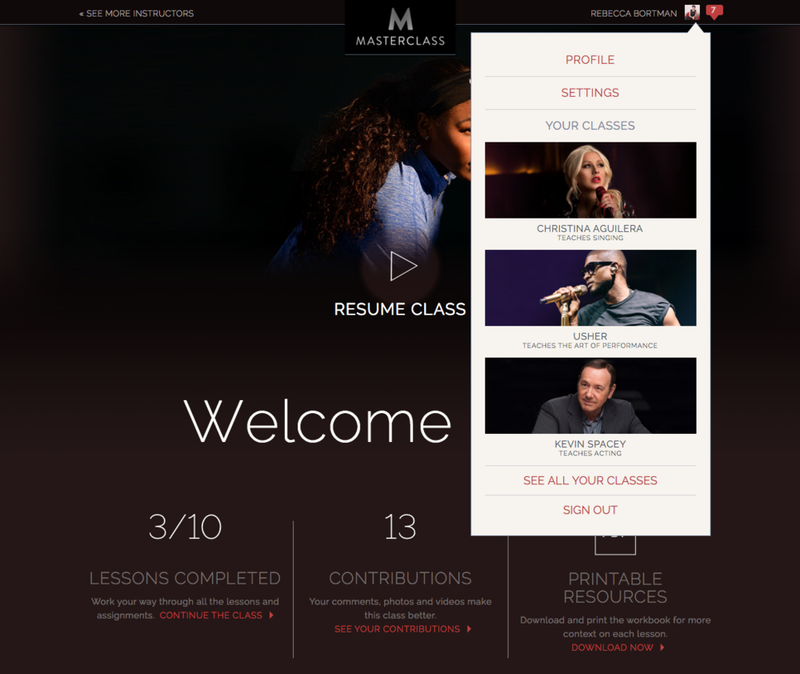 As the designer and first employee of MasterClass, I worked with the founders, David Rogier & Aaron Rasmussen from Fall 2013 to June 2016 to design and build MasterClass into a 30-employee company with 6+ successful online classes taught by some of the biggest names in the arts & sports. As the company's sole UX and visual design resource, I was driven to create the finest of online educational experiences—a platform worthy of classes taught by true masters. Working as the lead designer of a start-up is a continual creative whirlwind (I like to say it was like having a new job every 3 months). 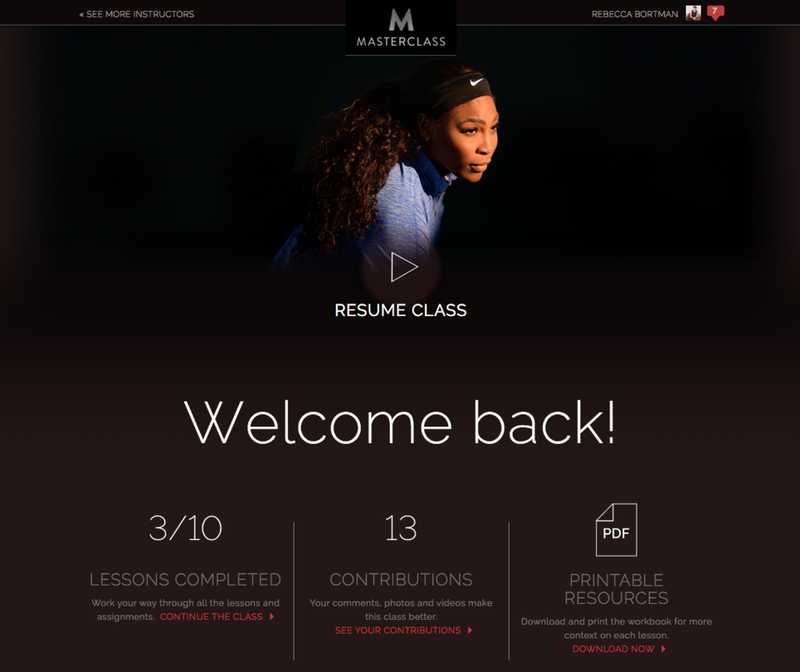 I worked on designing everything from the company's visual language, identity and site structure to helping create and structure our first three classes (James Patterson, Dustin Hoffman, and Serena Williams) and then helping build a world-class team and involve existing features. 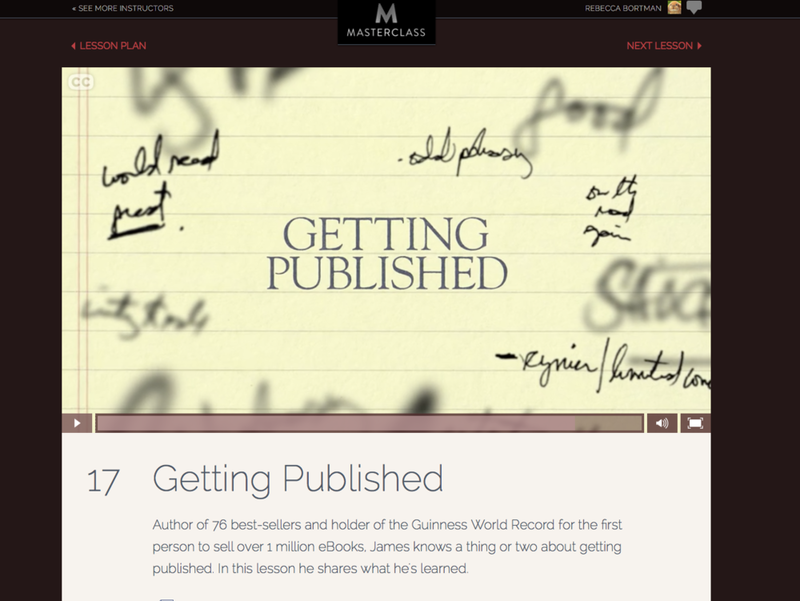 My goal with the overall site structure was to keep it as simple as possible. I’ve seen from my years working at YouTube and on other big sites, the long-term importance of building a concisely-organized site, where each page is its own singular information-rich destination. It always helps to have a cohesive naming schema! 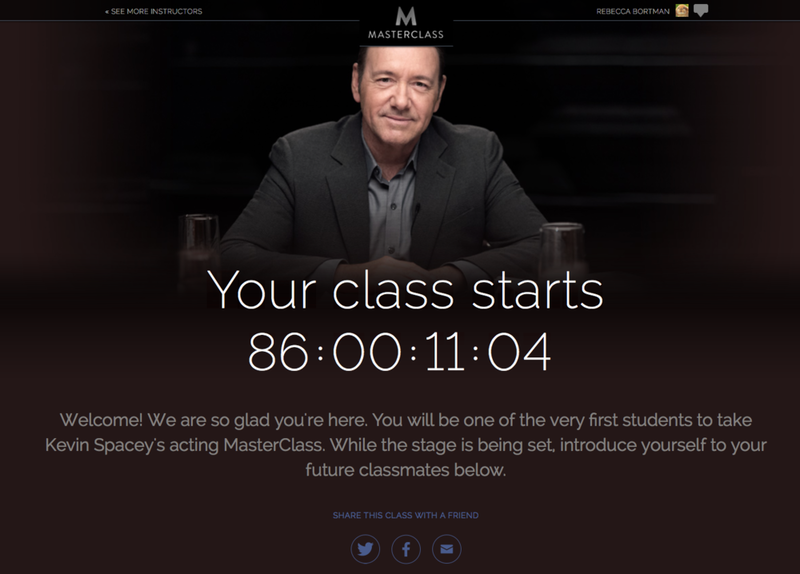 In front of the paywall, each page acts as its own homepage, selling both the class as well as explaining the concept of MasterClass. 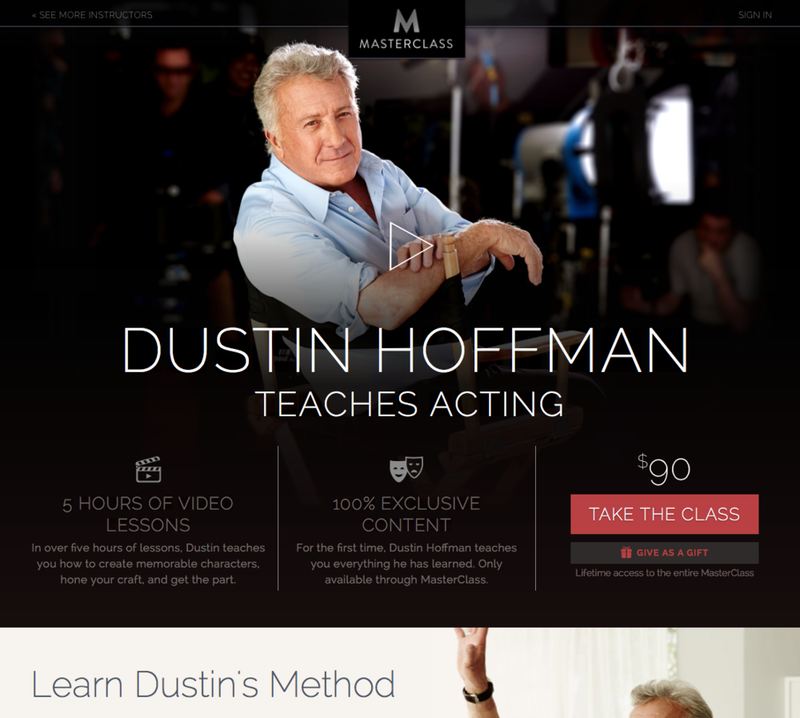 Many of the site’s visitors have never dreamed of taking an online class before. This is an exciting population to educate! 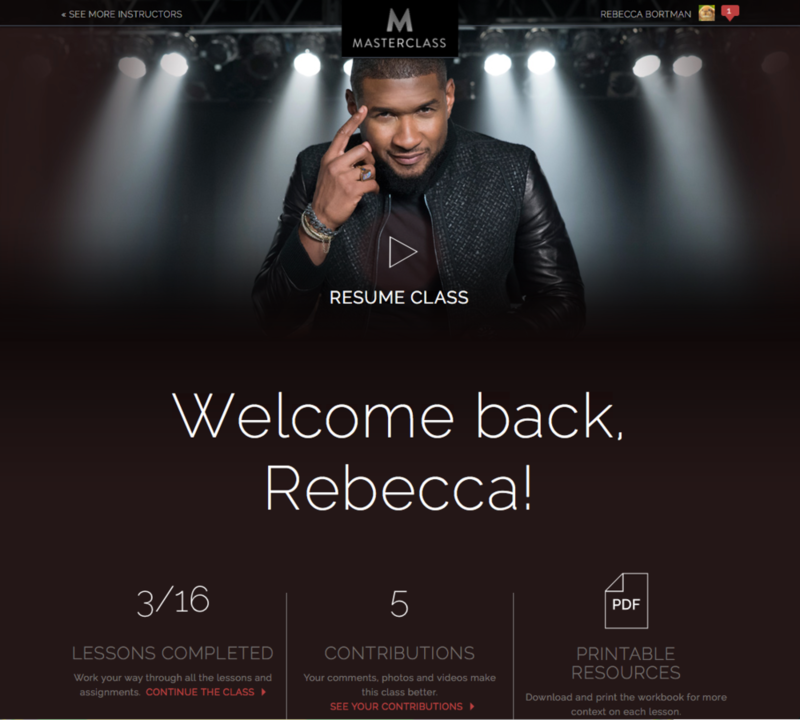 I designed our class marketing pages to have the visual appeal of a branded experience, customized to the individual instructor, while maintaining a consistent layout and information structure between classes. Once a student is enrolled in class, my goal is get them right into the content! They get a warm welcome and a prompt to jump right into their first lesson. The enrolled experience follows the same simplified structure. 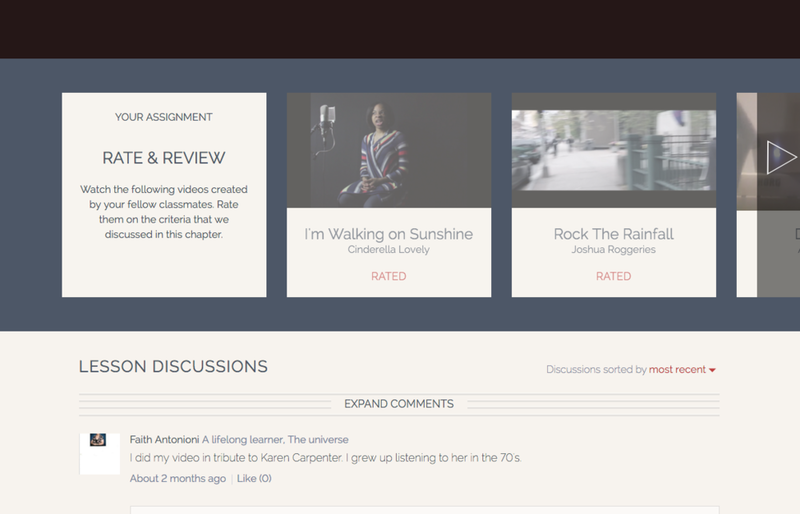 The class content builds off the central lesson plan with each video lesson on its own page, supported by interactive assignments and student discussions. The lesson plan is also the hub for downloading supporting material about the class (workbook, scripts, learning tools) as well as an interactive feature that I have learned a lot from imagining up—Office Hours, where students can submit individual video questions. 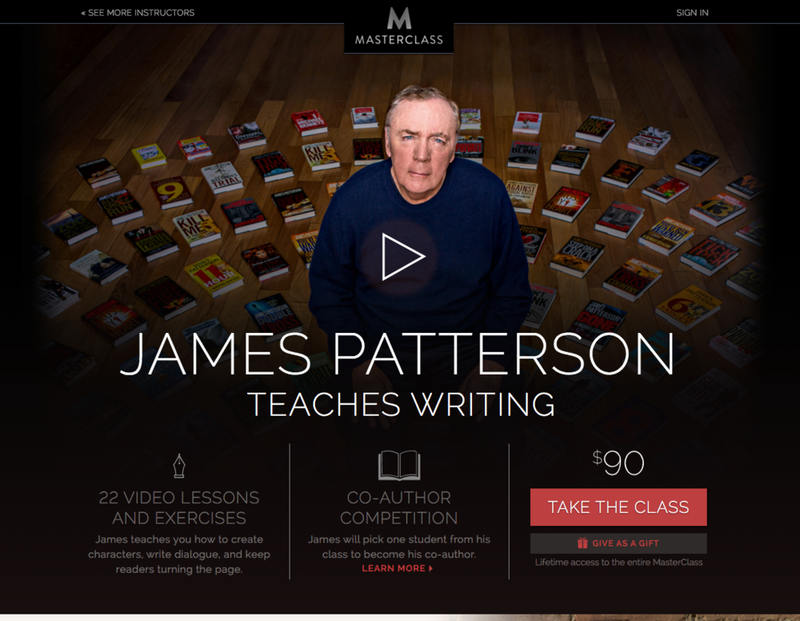 MasterClass surfaces the most popular questions to the instructor and captures their answer as additional video content to add to the class. This asynchronous Q&A allows the class content to grow and evolve after its release and everyone can learn from the question of one student.